I'm a Mompreneur In Online Business from Singapore. I like to share and believe in "There is a will, there is a way!" Watch my video to know me more. 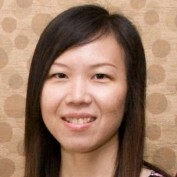 Do visit my Mompreneur website at http://MompreneurAsia.com to read more about Work At Home Moms. You all are welcome to give comments!